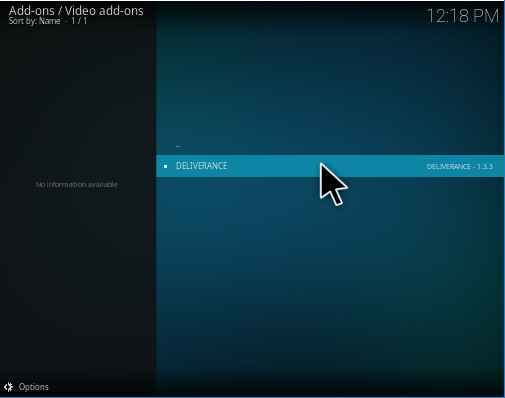 Deliverance is one of the best IPTV Kodi addons for watching Live TV. Its performance is unparallel. 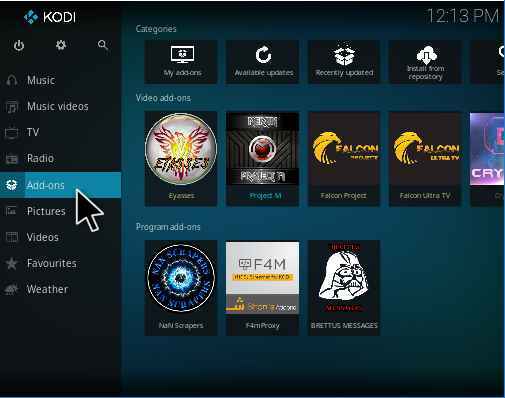 In this Kodi addon you can watch live sports, live TV, live tv shows, Live PPV and Live CCTV. 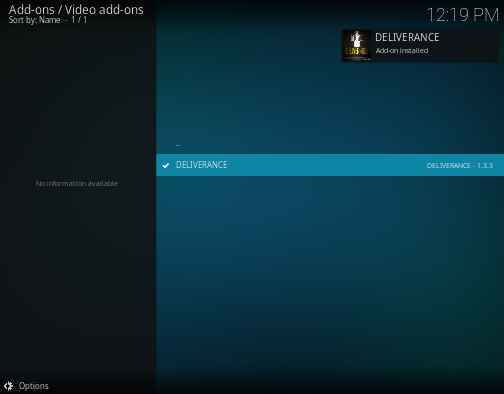 Yep, you heard me right, Deliverance Kodi addon can live streams more than 250 CCTC cameras live. And all the contents are working fine, and the best part is it has great streaming quality. This addon is available in Deliverance repo. Now let us proceed to installation procedure of Deliverance kodi addon. 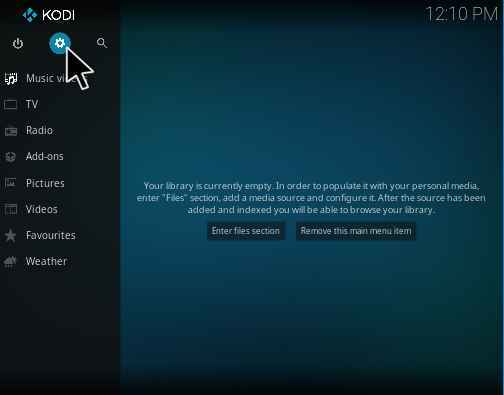 How to install Deliverance Kodi addon? 2. 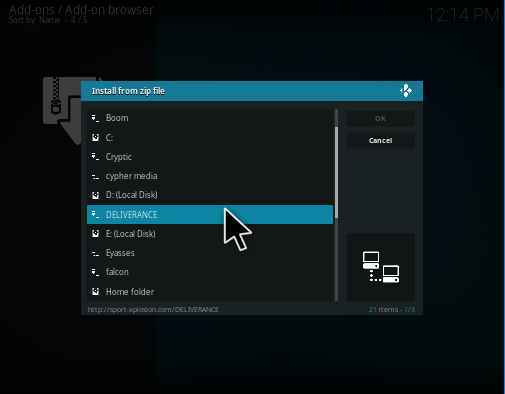 Select the File Manager from the System settings menu. 3. Now, double-click on the Add source from the File Manager. 4. Here you can select <None> in the Add file source dialog box. 5. Now you can enter the path as “http://sport-xplosion.com/DELIVERANCE/”. Make sure that the entered path is correct and then proceed Ok.
6. Now enter the name which you want. Now I can enter the name as DELIVERANCE and then proceed Ok.
7. 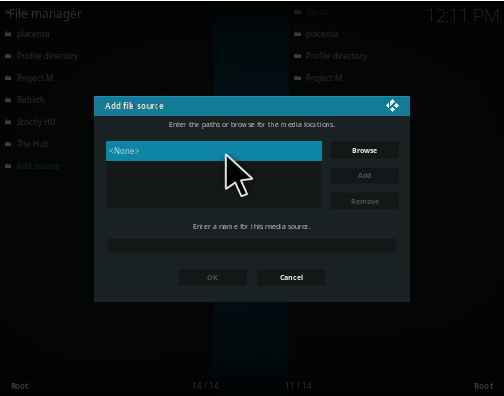 After completing the above steps then Go back to the Kodi Homepage and click on the Add-ons. 8. Now you can select the Package Installer icon which is present at the Top-left corner. 9. 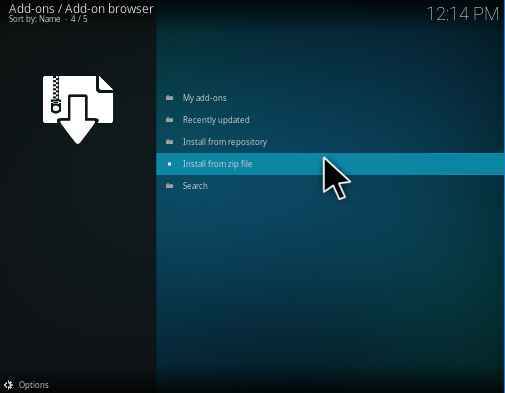 Now select the Install from zip file. 10. Here you can find the DELIVERANCE or the name you had given, select it. 11. 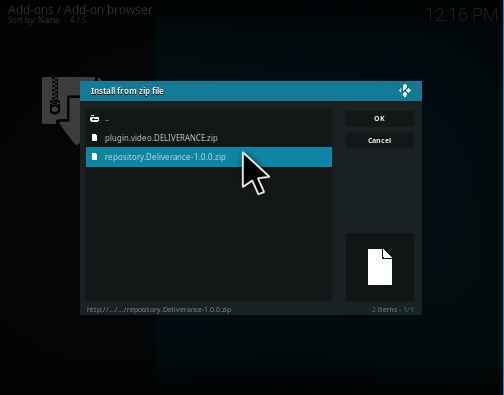 Here you can select the zip file as “repository.Deliverance-1.0.0.zip“ and wait for few seconds while the addon is installed. 12. The popup shows that the Deliverance addon is successfully installed. 13. Now you can click on the Install from repository. 14. Here you can find the Deliverance repository and select it. 15. In that repository, select the Video add-ons. 16. Now select the DELIVERANCE and wait for few seconds to complete its download process. 17. Now the addon is downloaded successfully. Click the Install and wait for few seconds while it completes the installation. 18. The popup clearly shows the Deliverance addon has been installed successfully. 19. Here click on the Open to enter into this addon. 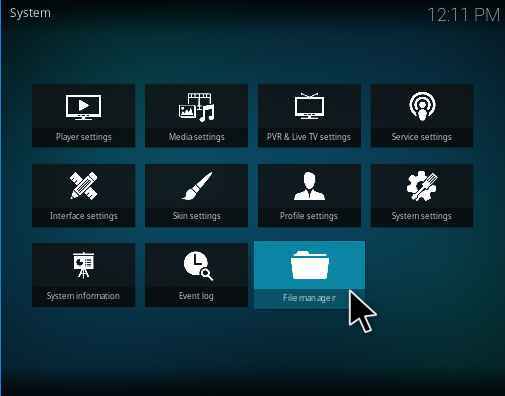 It is one of the best IPTV video Kodi addon. It has a lot of sections as Football Highlights, Sports, Movies, Live actions, Comedy and much more. In below, let us discuss one by one. This section includes the football matches which had been played before. Here you can see the highlights whenever you want. Sports can be further classified into Live Now Sports, Transfer News, FIFA world, Rugby Zone, BWFC zone, Classic Matches, My Clubs and much more. Suppose if we take Live Now Sports, here we can see the ongoing matches. In Transfer News, we can able to see the latest news about sports. This section includes the live TV shows, News etc. It can be furtherly classified into BBC, Cartoon Network, HBO and so on. It can be further classified into Music Tv, Music Choice, 24/7 Music, Live Concerts and DJs and much more. This section includes the complete information about the matches which means Date, Time and then teams. 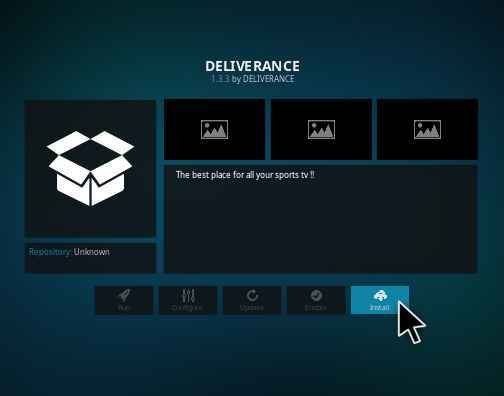 Deliverance Kodi addon is the best IPTV addon. 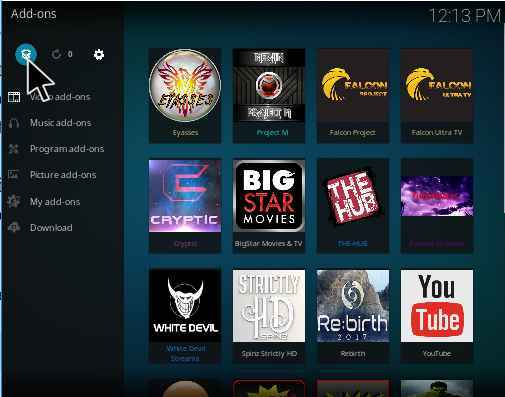 So every Kodi user must try this addon. 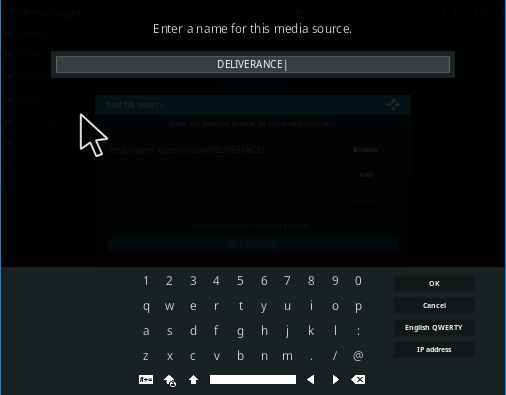 That’s all about Deliverance Kodi addon. If you face any issues during installation, kindly let us know via comments. 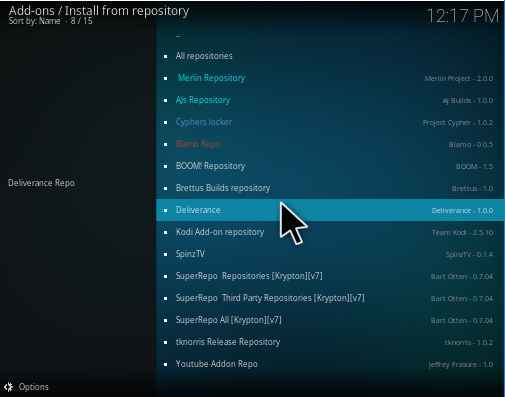 I’m trying to install deliverance on my Kodi 17.6, but there are no repository’s in the “add from zip file” section. I’ve tried 3 times to “add source”. No luck. Any help or advice would be most welcome.